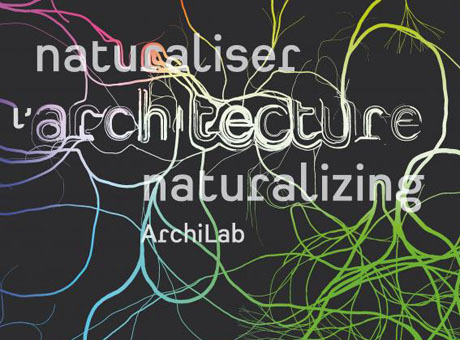 Naturalizing Architecture, a new book edited by Professor Frédéric Migayrou (Bartlett Professor of Architecture and Deputy Director of the Centre Pompidou, MNAM-CCI) and Marie-Ange Brayer (Director of the FRAC Centre) is released on September 14th in conjunction with the ongoing ‘Naturalizing Architecture’ exhibition at the FRAC Center in Orléans. The book explores the main themes of the 9th ArchiLab international exhibition - this year devoted to the interaction between digital architecture and the sciences, exploring the challenges faced in simulating the living world. Structured in four parts (Rustic, Geometric, Organic and Ecophysics), the book answers the question of how we are to think about a new ecology of design that is as political and cultural as it is architectural. It includes work from the authors and the projects of forty international architects, artists and designers currently at the forefront of scientific innovation. The book can be purchased in paperback edition from Editions HYX for €45 here. The exhibition ends on 2 February 2014. More information can be found on the FRAC Centre website.